Even after its recent price hike, Netflix is still worth subscribing to Why You Should Be Happy to Pay More for Netflix Why You Should Be Happy to Pay More for Netflix Every time Netflix increases its prices, millions of binge-watching users balk at the prospect of paying a couple of dollars more. But this is dumb, because Netflix is an absolute steal. Read More . The video streaming service has a large catalog of movies and TV shows, including documentaries, stand-up comedy specials, and even exclusive content. Hey, you can also watch it wherever you live How to Watch Everything on Netflix No Matter Where You Live How to Watch Everything on Netflix No Matter Where You Live We explore why Netflix content differs from country to country, and how you can watch everything on Netflix regardless. Read More . But despite all this, the Netflix app still lacks some features that we all secretly want. Well, it turns out that so do those 200-plus engineers who work at the company! They love the app as much as you do, and use it regularly too. While these product developers are usually kept busy tweaking and improving the service, once in a while, Netflix gives them a break to work on passion projects. It’s called the Netflix Hack Day, and it leads to some pretty cool innovations! The Google Chromecast is an awesome device Google Chromecast Review and Giveaway Google Chromecast Review and Giveaway We're giving away a Google Chromecast, so read through our review, then join the competition to win! Read More to stream Netflix videos from your smartphone or tablet to your big-screen TV. It’s cheap and easy to use, but it lacks one thing. When you “cast” your video, you also cast the audio as well. So what can you do when you want to watch something on the big screen, but your kids or significant other is sleeping close by? QuietTube is the solution. It isolates the audio from the video. Just cast the video as you normally would, then go to the phone’s volume settings. Turn down Chromecast audio to zero, turn up the phone’s volume to full. Plug in a pair of headphones and you’ll get audio from the phone while the video is played on mute on the big screen. This is a feature almost every Chromecast user wants, so if Netflix has figured out a way to enable it, it could be a game-changer. Any Netflix user can create multiple profiles, so that two or more people can watch at the same time. However, apart from the shared username and password Should You Share Your Netflix Password With Others? Should You Share Your Netflix Password With Others? Is it stealing to share your Netflix password with others? We surveyed people asking this very question; here's what we found out. Read More , there is no second layer to lock profiles. Considering that Netflix wants to appeal to kids How Netflix Can Help Your Kids Settle Down at Night How Netflix Can Help Your Kids Settle Down at Night Netflix wants to tell bed-time stories to your kids. Here's how this might help you out. Read More , you don’t want little Timmy accidentally clicking the adult profile and being scarred for life. Pin Protected Profiles is a Chrome extension to add four-digit PIN locks to any profile in Netflix. This way, you can keep both your profile and what you’re viewing private. Remember, profiles affect how Netflix knows what you want to watch How Netflix Knows Exactly What You Want to Watch How Netflix Knows Exactly What You Want to Watch Netflix's rise to being the world's primary streaming service was no fluke. It was based on a recipe of data and emotion that means the company always knows what you want to watch. Read More . You and your significant other have decided to together watch Daredevil or one of the other great Netflix originals of 2016 13 New Netflix Originals You'll Be Watching in 2016 13 New Netflix Originals You'll Be Watching in 2016 Netflix has released a lot of original content -- including House of Cards, Orange Is the New Black, Narcos, and Master of None -- but 2016 is slated to be Netflix's most exciting year yet. Read More . Can you trust them not to cheat? Heck, just take trust out of the equation with Net the Netflix Cheats. This little hack lets you add a lock to certain shows that require two custom PINs to open. Basically, like launching nuclear weapons, you require two people to turn the keys. Otherwise, Net the Netflix Cheats won’t allow just one person to start watching without the other. Let’s say you haven’t pledged to watch together, so you don’t need dual locks, but you’d like to wait for someone using one of the other profiles in your account to catch up to you and then experience a movie or TV show together. Family Catch Up does just that. When you’re watching a movie, the playback bar will show which point someone else is at. So you can choose to wait, or they can wait for you, until you both reach the same mark. Then, just start watching together! While you can’t wait to catch up yet, you can watch a movie at the same time as your friends. Netflix Party is a Chrome extension to watch a movie alongside someone else, complete with a chat window. 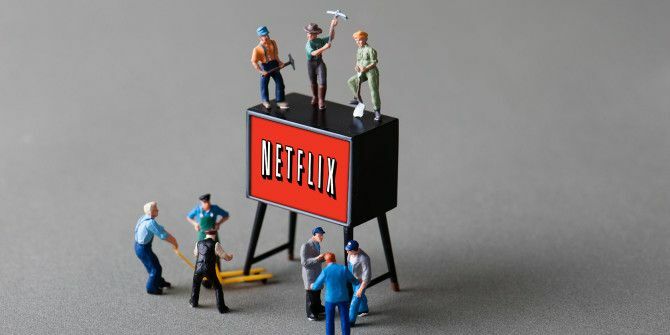 No wonder it made it to our collection of tools to get the most out of Netflix 6 Key Tools to Get the Most Out of Netflix 6 Key Tools to Get the Most Out of Netflix Browsing Netflix for the best movies to watch is like a treasure hunt. When finding the perfect streaming title is difficult, use these 6+ tools to make Netflix easier to use. Read More . Speaking of extensions for Chrome, Netflix Mini is one of the coolest projects to come out of Hack Day. It uses Chrome’s panel view feature to let you watch Netflix in a tiny floating video while you’re still browsing around. This hack adds perhaps the most-requested feature from Netflix users: the ability to create your own playlists. Why Netflix doesn’t allow this already is anyone’s guess, but at least we know that it can be done easily. As the video shows, custom playlists lets you add individual movies or entire seasons to the playlist, it’s your call. While watching a video, you can check that playlist and choose the next or previous video without ever leaving the current screen. It’s a perfect way of enhancing the binge-watching of TV shows The Pros and Cons of Binge-Watching Television The Pros and Cons of Binge-Watching Television Binge-watching is a recent phenomenon that pretty much everybody has done thanks to Netflix, Hulu, and Amazon Prime. But for all of its various pros, it does also have some cons. Read More , or to create a playlist of animated movies for kids to enjoy. 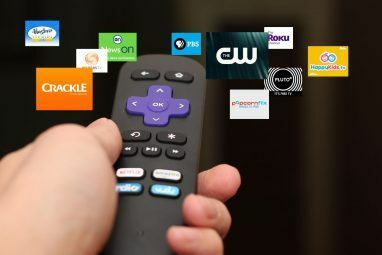 Netflix is great for binge-watching, but it takes away the joy of channel surfing 7 Reasons You Should Avoid Subscribing to Netflix 7 Reasons You Should Avoid Subscribing to Netflix Just as there are pitfalls to cutting the cord, there are downsides to Netflix you might consider to be deal-breakers. So before you sign up to Netflix, take a moment to consider these imperfections. Read More to discover a new show. Smart Channels attempts to recreate that experience with themed packages of different TV shows. So you’ll have pre-made “channels” like cult sci-fi, late night comedy, foodies, and more. Pick a channel and you’ll see which shows are a part of it. Seen one? Skip to the next with a couple of taps. It’s a cool way to discover new shows to binge-watch. And given Netflix’s smart insights into your viewing patterns, you’ll probably get better recommendations within those smart channels. One of Netflix’s best features is the built-in subtitle support. 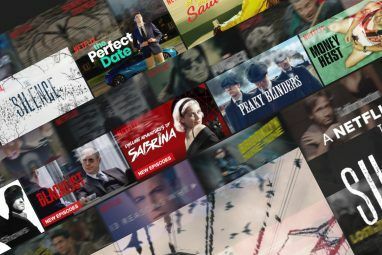 While apps like Smartflix add third-party subtitles The One App Netflix Fears More Than Any Other The One App Netflix Fears More Than Any Other There's one app that Netflix fears more than any other. It's called Smartflix, and it could be the answer to your prayers. This article examines why. Read More , Netflix works with the original rights owners for official subs. Some developers used this in the most ingenious way possible. SayWhaaat ensures you never miss a piece of dialog that you didn’t understand. Here’s how it works. When you’re watching something and you can’t make out what was just said, pause the video. It will show you the last frame of the video, complete with its subtitle. You can even flick to the previous or next subtitle and corresponding frame. It’s absolutely brilliant and highest on my personal list of features I want to see Netflix introduce. Part of the joy of watching TV shows and movies is those iconic conversations that get stuck in your head. From, “Here’s looking at you, kid,” to, “I am the one who knocks,” those words are burned into your memory. When you want to revisit the scene, OK Netflix takes you directly to it when you say it. Much like the super useful OK Google voice commands on Android Why Every Android User Needs to Be Using "OK Google" Why Every Android User Needs to Be Using "OK Google" The "OK Google" command is extremely useful, but lots of Android users aren't even taking advantage of it. Here's to make the best of it! Read More , you just say, “OK Netflix” followed by the dialogue. In a few seconds, Netflix will take you directly to that scene. It works like magic, at least if the video above is to be believed, so this would be a fun feature to have. We’re big fans of the Philips Hue smart LED bulb here at MakeUseOf. Want to push your lighting to the next level 4 Ways Philips Hue Can Push Your Lighting to the Next Level 4 Ways Philips Hue Can Push Your Lighting to the Next Level Without Philips Hue, however, the smart home concept might never have gotten off the ground. Here are some cool ways to make use of them. Read More for your TV watching experience? You’ll really want to get your hands on the Netflix Hue app. In essence, Netflix Hue matches the color of the Philips Hue LED to the dominant color of whatever you are browsing in the menus or watching on video. The demo in the video looks seamless, and it seems pretty cool. It’ll be a great trick when you’re hosting a TV viewing party How to Successfully Host a TV Viewing Party How to Successfully Host a TV Viewing Party If you're having friends over to watch a televisual event, you need to make sure you get the basics right. Make that happen with our guide to hosting a successful TV viewing party. Read More . It’s mood lighting at its finest! Which Netflix Hack Do You Covet the Most? So, we’ve seen ways to protect your account and turn Netflix into a group watching experience. There are hacks to discover new content or create smart playlists. And third-party apps and devices like Chrome, Chromecast, and Philips Hue got some love at Netflix Hack Days. But my personal favorite is SayWhaaat, allowing you to never miss what was just said on the screen. What’s your favorite Netflix hack as dreamed up by the Netflix engineers? Hey, maybe it’s not even in this list above. You can check out the highlights from all the Netflix hack day events in the past: May 2016, November 2015, March 2015, Feb. 2014, and Aug. 2014. And once you have browsed around, please let us know your most-wanted feature in the comments below! Explore more about: Hacking, Netflix, Television. 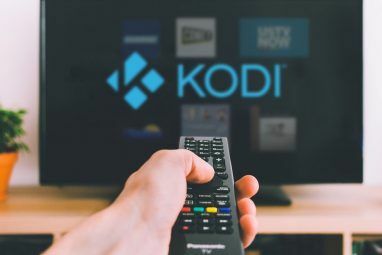 What they should do is create an official Kodi plugin so we can use Netflix with its far superior content management features and plugins!